Archive for Earth Defender Mao-chan. Why don't I own any Earth Defender Mao-chan DVDs? After hearing "All My Love" pop up on my Horie Yui Sweetness playlist, this strikes me as a shocking omission in my vast DVD library. (Read: "cybrary." More on that some other day. Weeaboos, make your own toshokan-persocom jokes.) 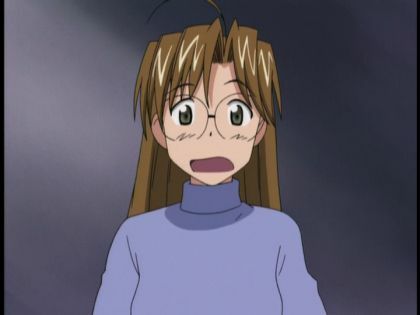 Considering that Earth Defender Mao-chan contains a canonical Love Hina crossover (it is too—don't lie) AND is responsible for the "Everything in America is Big" macro, the omission in unforgivable. I think it would help a lot if there was a screencap. 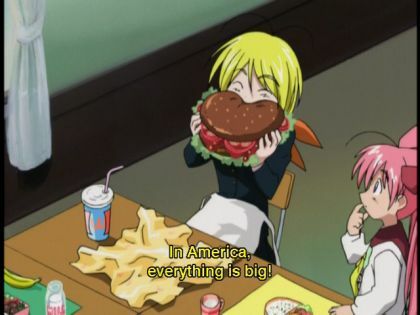 The world-famous "Everything in America is big!" macro. P.S. Earth Defender Mao-chan DVDs ordered. Toradora! prominently features an unmarried woman over the age of 25: Yuri, the teacher (who is actually more than just a little bit past 25). 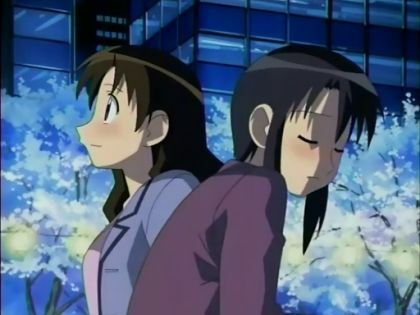 Today's entry celebrates this under-appreciated anime staple. 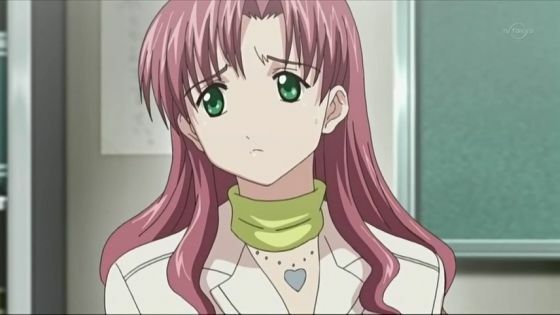 Tokimeki Memorial ~Only Love~ features Haruka, a lonely 27-year-old who wiles away her time drinking Mexico Beer and playing Tokimeki Memorial Online, quietly envious of her preternaturally perfect student, Sayuri. Yukari and Nyamo strike out after a night trolling for husbands. According the the Mao-chan website, Kagome is 27 years old. 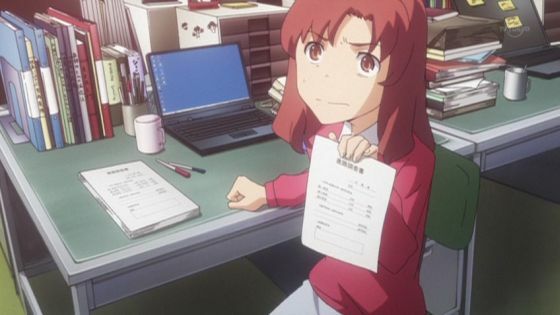 She is reassigned to teach at Mao's school. Also, she is desperately in love with Mao's grandfather. Naturally there are numerous other Christmas Cake characters I am omitting, but let us not dilute attention from these five sweethearts today by crowding the room, eh. You're the BEST GIRLS today, ladies.